More Holiday Events in Boston This Season! 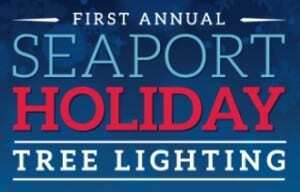 First Annual Seaport Tree Lighting: Friday, December 12, 2014 at 4pm. Enjoy the first annual tree lighting in the Seaport District with free cookies, cider, holiday music and much more! Free and open to public and presents for toys for tots will be collected as well. Beacon Hill Holiday Stroll: Thursday, December 11, 2014 at 6pm. Stroll along the streets of Beacon Hill and enjoy some shopping, music, holiday decorations and more! Holiday Pops: Select dates at Boston Symphony Hall. More dates have been added to Goldstar Boston for discount tickets to the Boston Pops including dates this week! Boston Ballet II is also doing excerpts today (12/10/14) at International Place in Boston including performances of The Nutcracker during lunchtime! Also, don’t forget to check out Mayor’s Holiday to find many holiday events in Boston with discount event tickets too as well as Goldstar Boston’s discount holiday events (affiliate link). There’s a lot of discount tickets and holiday fun on both sites! What are your favorite holiday events in Boston! ?